Don't know if you guys know about these but they are very useful and are great value for money. 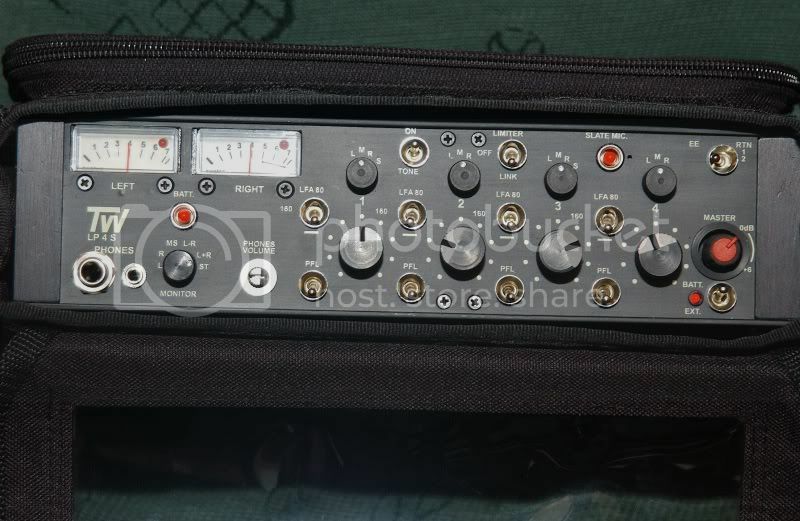 Basically a three channel XLR balanced mic mixer with phantom power and a balanced XLR output, it also has low cut filters and a headphone/aux mono output, most importantly it can be battery powered. They are superb quality and similar to juiced link devices etc but at a bargain price. I use these for my pro work as small portable coms mixers or to add more effects mic's if I need to cover larger areas for sport or performances. I have bought several of these small ART boxes over the past year and have found them very useful and well made but excellent value for money. The latest version is a lot better as the faders are more robust and I think it now comes with a five year warranty, for £90 inc delivery it is an absolute bargain and an ideal add on if you are wanting to do more advanced sound operations. I have done live broadcasts for sky with this mixer straight into the back of my HPX371 and then feeding HD/sdi with embedded audio out to the sat truck, it even handled the reverse IFB + international sound mix for the presenters radio earpieces. Gary - I am considering such things as this. But I am a bit concerned about portability? Shoulder strap, case, etc? These look like desktop mixers. Did you once (a year or two back?) have a recommendation for a good, truly portable, cheapish (but not bad) location mixer? Or anyone else? Yes Martin these are more for semi permament locations such as venues etc, my location portable mixers are numerous and I tend to buy up second hand Shure and ASC kit as it can be had for little money as they are mostly mono mixers. Personally I would go for the six channel version if you are going to buy one mixer as it gives more flexibility, they come with re-chargeable batteries with mains/charging power supplies and a very useable case. They are a bit larger than some of the more expensive pro mixers but that can be an advantage as all the switches are of useable size, the PPM meters are good as is the on board limiter and I don't think there is anything under £1,000 with so many pro features. 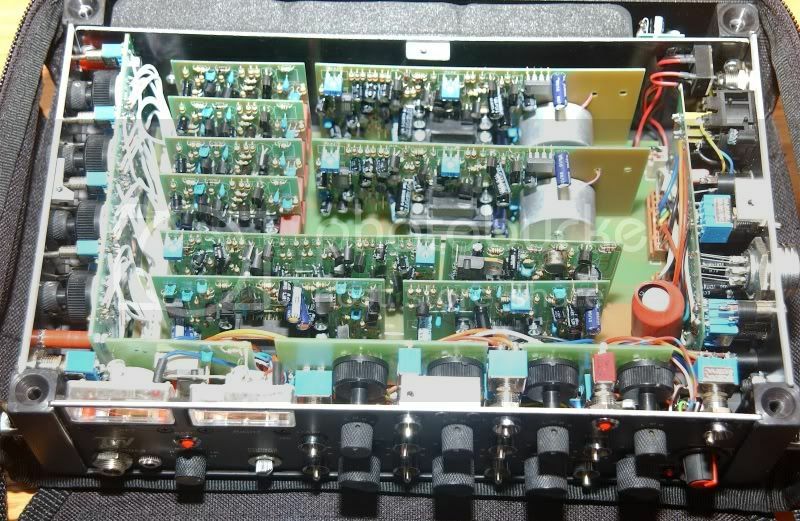 All the circuit boards are plug in and modular so it is very quick to swap out any faulty parts. 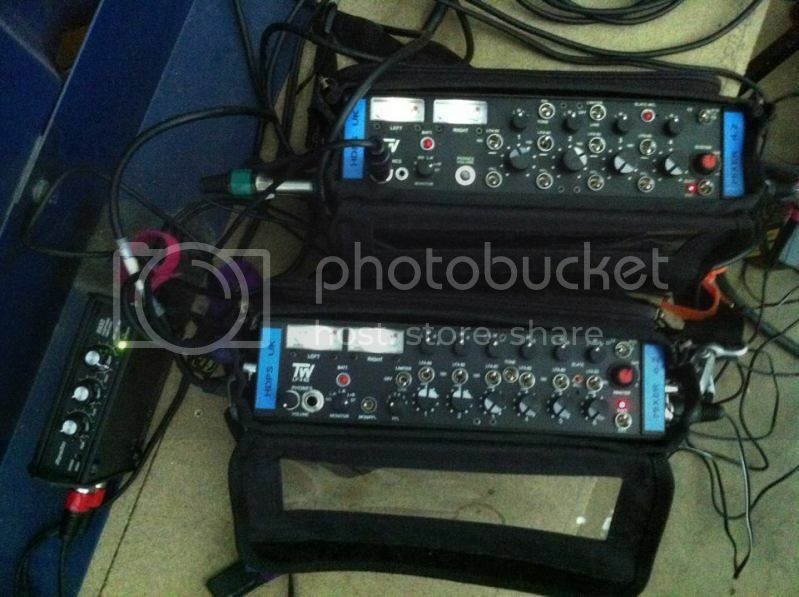 and the two of mine on location at West Brom last season, the 6 ch does the programme mix (pres and commentators) and the 4ch the coms mix this time for Abu Dhabi Media premiership coverage, the smaller box on the left is the pres headphone distribution amplifier a superlux HA3D, there is also a glensound commentators box not pictured. Thanks for that info, Gary.